There has never been a more crucial time to address oral health, or a more critical need for the best and brightest dental professionals. The generosity of alumni like you who learn, earn, and return opens doors to the brightest students and gives them state-of-the-art facilities. It fosters global outreach, expands community dentistry, and fuels groundbreaking research. 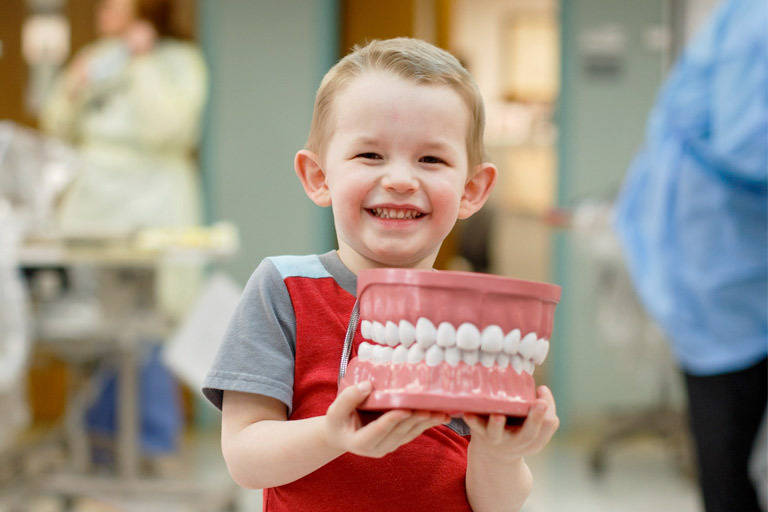 Your generous support of the Indiana University School of Dentistry advances oral health worldwide. Together, we can fulfill the promise of a healthier Indiana and a brighter future for all. Evidence of your philanthropy is everywhere at the School of Dentistry. More than 500 alumni and friends contributed to 158 named spaces in the Fritts Clinical Care Center. 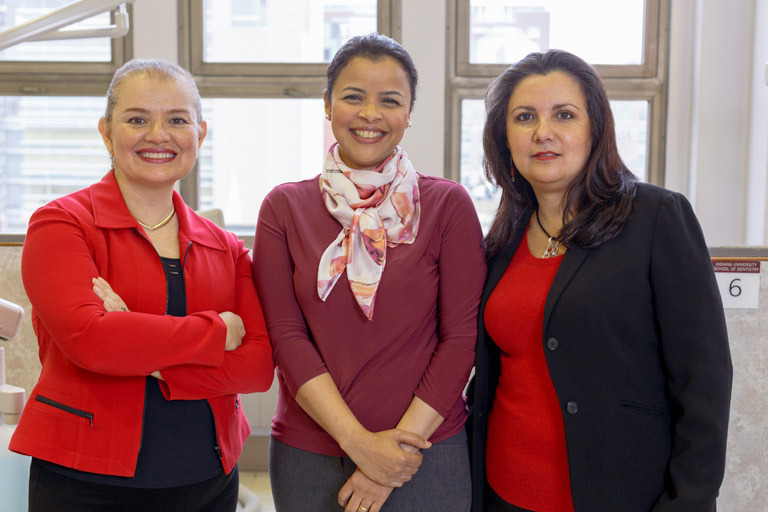 From endowed scholarships and professorships to sponsored student activities, your support ensures that the legacy of innovation, discovery, and grounded, evidence-based practice at the School of Dentistry continues. To direct your donation to a particular area, search for relevant terms (e.g., dentistry, orthodontic, oral, maxillofacial, pediatric) at My IU. 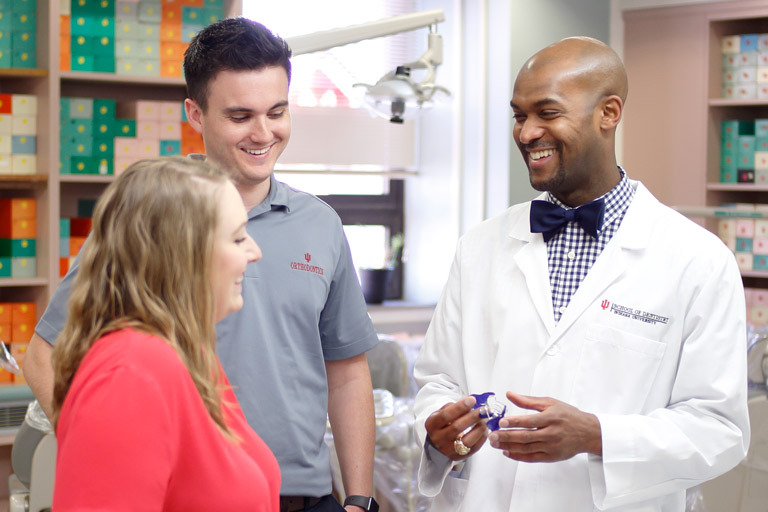 Three giving societies in the IU School of Dentistry offer options for directing your philanthropy. For information on how to join a giving society, contact John Hoffman, assistant dean of development. Giving $1,000 or more during a fiscal year qualifies you to become a member of the Dean’s Society. The Hine Legacy Society recognizes alumni and friends who make a planned or deferred gift to the School of Dentistry. The IU Alumni Association has several groups specifically for School of Dentistry alumni.